A new Vice throw combo for King of Fighters XIII has popped up. Watch it inside. Vice can do some serious throw damage. 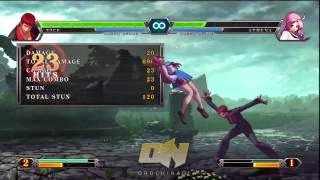 A new King of Fighters XIII combo video posted by Dark Chaotix proves it. This combo causes a stun, enabling the player to nail 45 hits.